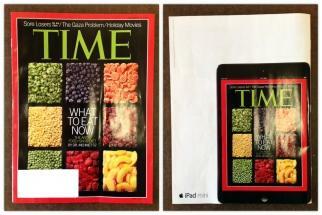 The iPad Mini is on display yet again with these creative print ads. 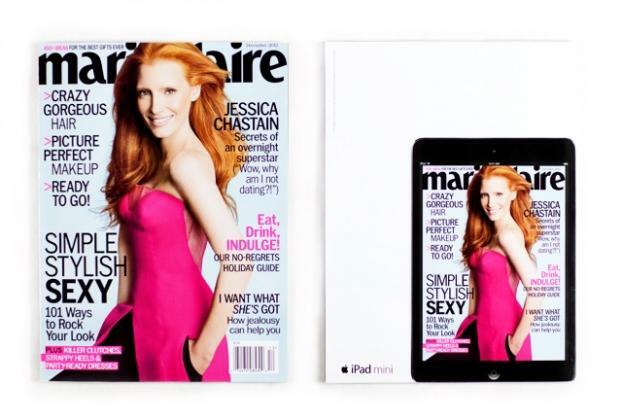 Using Apple's signature minimalistic style, these ads appeared on the back covers of Time Magazine, The New Yorker and Marie Claire, showcasing the actual size of the device in comparison to the size of the magazine. 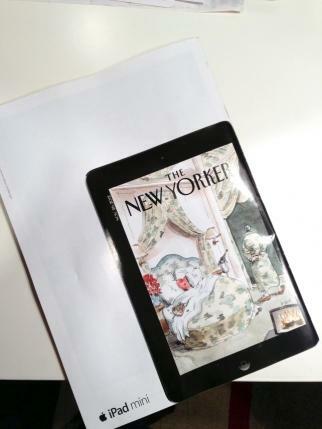 With a re-creation of the magazine's cover on its display, this tactic gave readers a feel for what it would be like to read on the iPad mini, while also highlighting the type of content available in Apple's Newsstand. Apple previously released a series of TV spots featuring the iPad mini alongside its larger counterparts.